Jabbit by OgoSport was one of those games that instantly caught my attention! I decided we HAD to have it based on looks alone!! 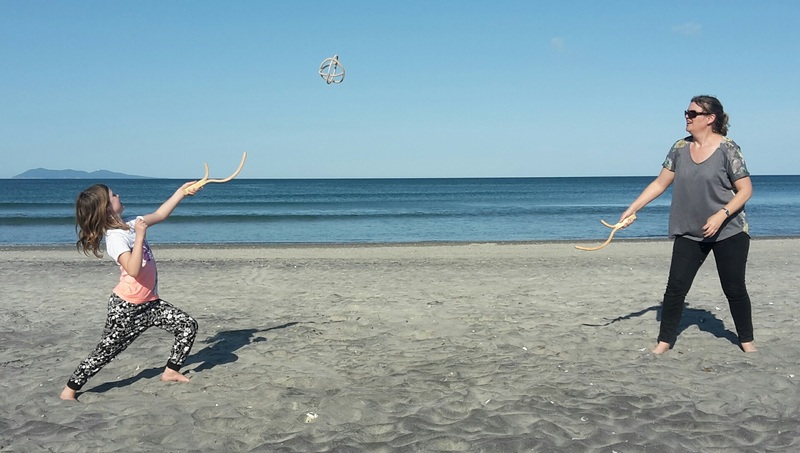 I LOVE that OgoSport manufactured this game in natural wood and rope rather than plastic like so many others. Our family had fun trying it out at the beach recently and much to my surprise (as I'm the most un-coordinated person you'll ever meet!) we all picked up the flicking and jabbing skills really quickly, so we had a lot more fun playing rather than being frustrated with our lack of ability. The thrower fits naturally into the shape of your hand and is light, easy to flick and easy to hold. The rope ball is lightweight too and the only downfall of this is that it can get caught by the wind, which makes the game a wee bit more of a challenge! I would highly recommend Jabbit for families wanting to get active this Summer, it's easy to play, easy to transport, there's no set up, or complicated rules and you don't need heaps of room, we've played it in our backyard too. It's a big thumbs up for fuss free fun! Recommended for those aged 6 years+, but it's not just for kids and makes a great Christmas gift for a family, for couples or older kids. 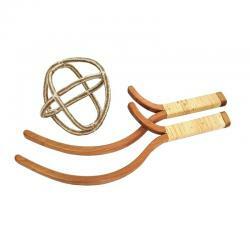 Includes 2 wooden throwers and one rope ball. I would suggest you keep them dry and indoors when not in use.